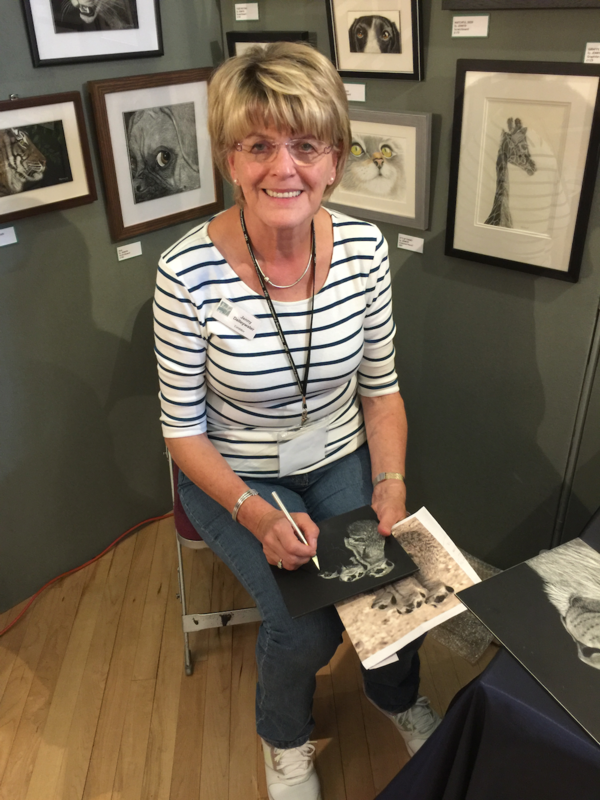 The second day of an arts and crafts fair gets under way at Uckfield Civic Centre at 10am this morning and will be open throughout the day until 5pm. 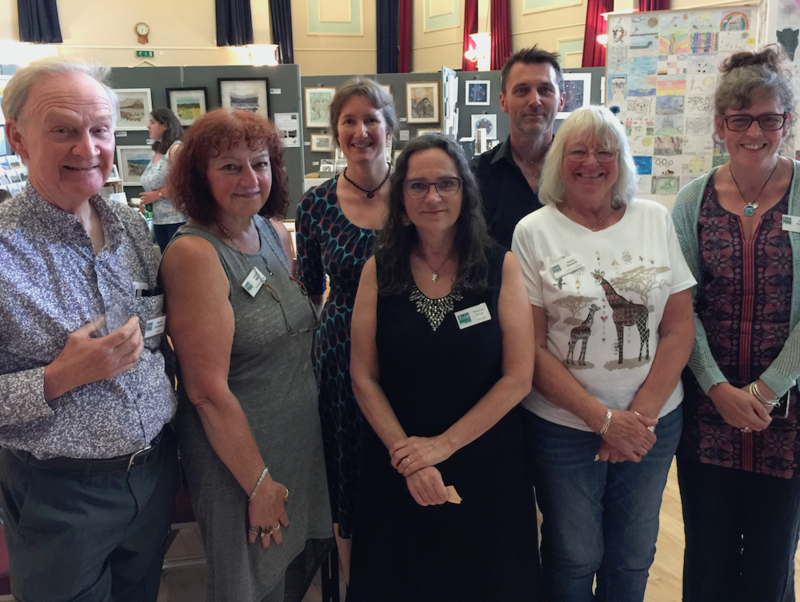 Organisers of an arts and crafts fair at Uckfield Civic Centre include, from the left, Martin Eastwood, Bridge Arts chair Annie Mills, Jackie Bennett, Penelope Parker, Martin Preston, Tessa Deverill and Sarah Oyetunde. 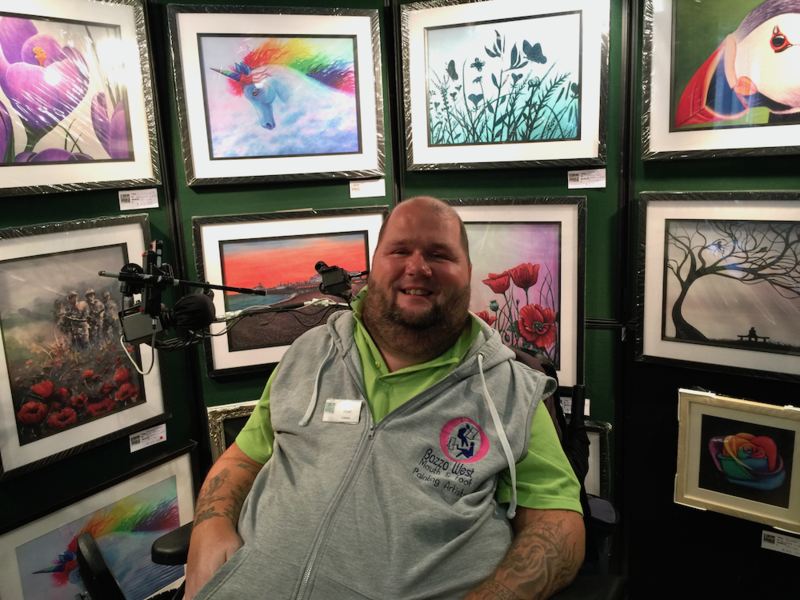 The fair opened yesterday afternoon and there was a drinks reception in the evening when visitors were able to mingle with the artists while Alex Butler of the band Red Butler played acoustic guitar. 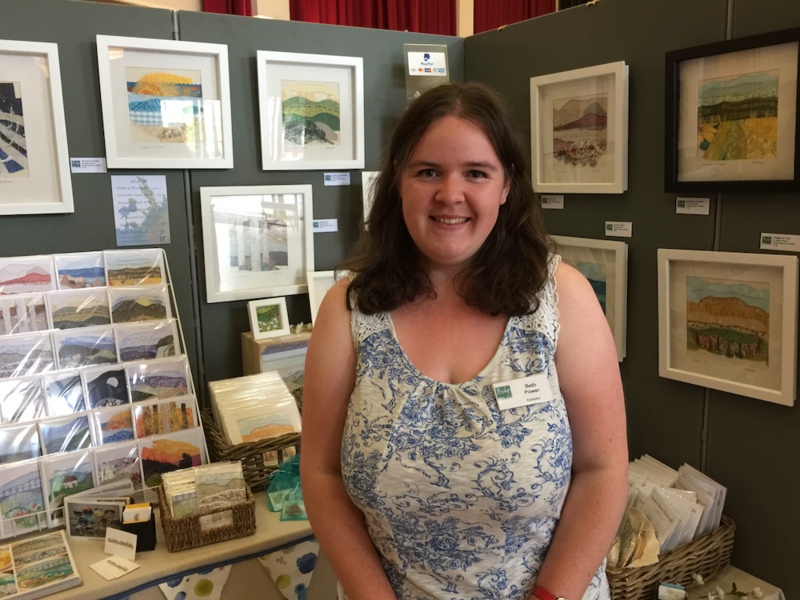 More than 40 artists and makers are taking part in the fair and displaying a wide variety of works for visitors to browse and buy. Beth Power with some of her stitched landscapes. 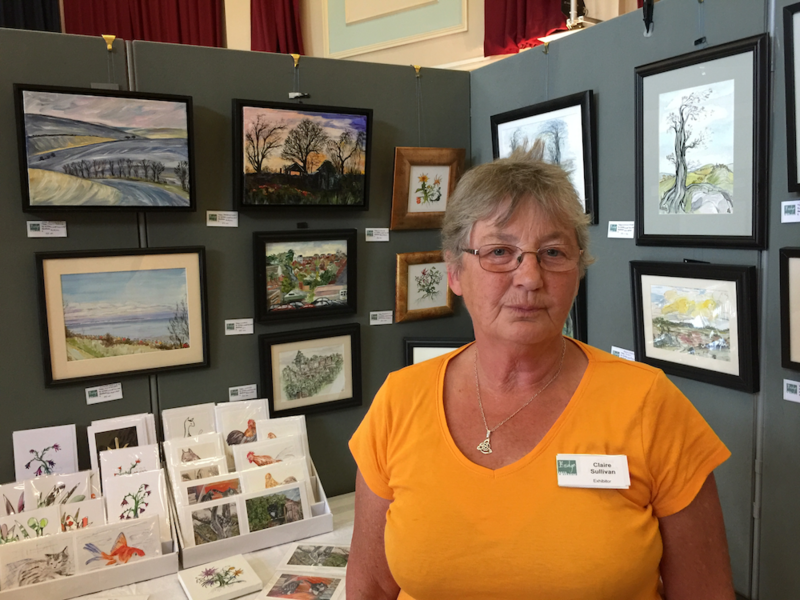 They range from Beth Power’s stitched landscapes, to Richard Field’s bronze and glass sculptures, and from Bazza West’s mouth-paintings to Barbara Hibbart’s fused glass jewellery. The programme today includes the presentation of prizes to winners of a children’s art competition at 11am. 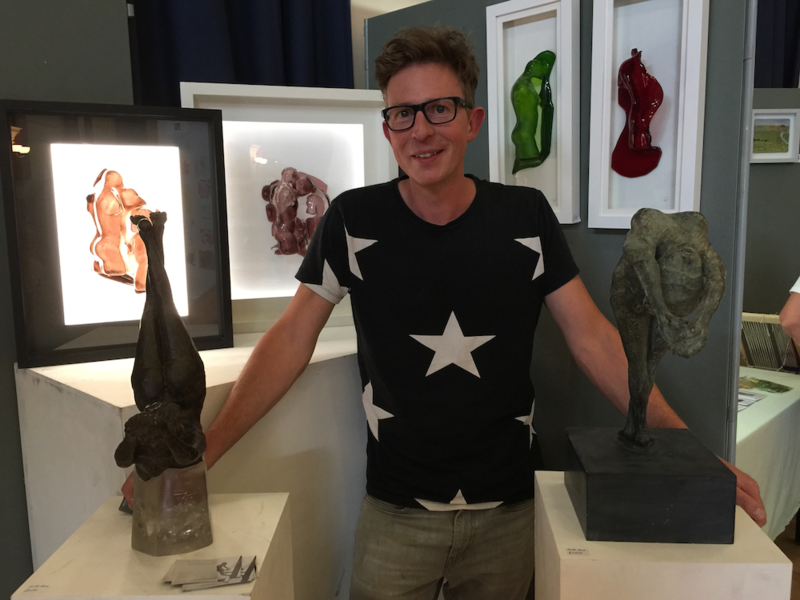 Richard Field with his bronze and glass sculptures. There are creatives workshops too for adults and children – which will involve a small charge – from noon. 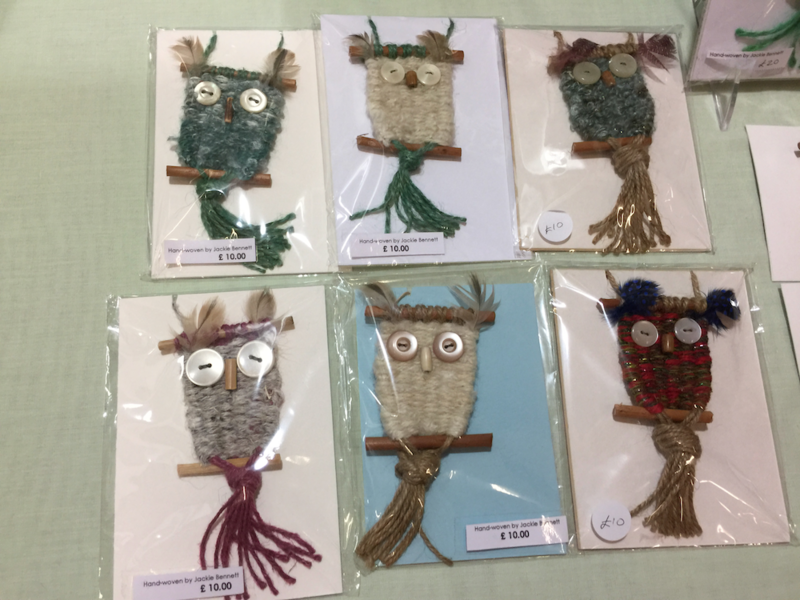 2-12.45pm Embroidery with Beth Power. Cost £3. Stitchscape hoop, 10cm, fabrics and thread will be provided. 1.30-2.30pm Family Art with Martin Eastwood. Sarah Oyetunde’s Mandela colouring sheets will be available for children and adults throughout the day. 50p per sheet. Bazza West with his mouth-paintings. Bazza will be demonstrating mouth painting today. 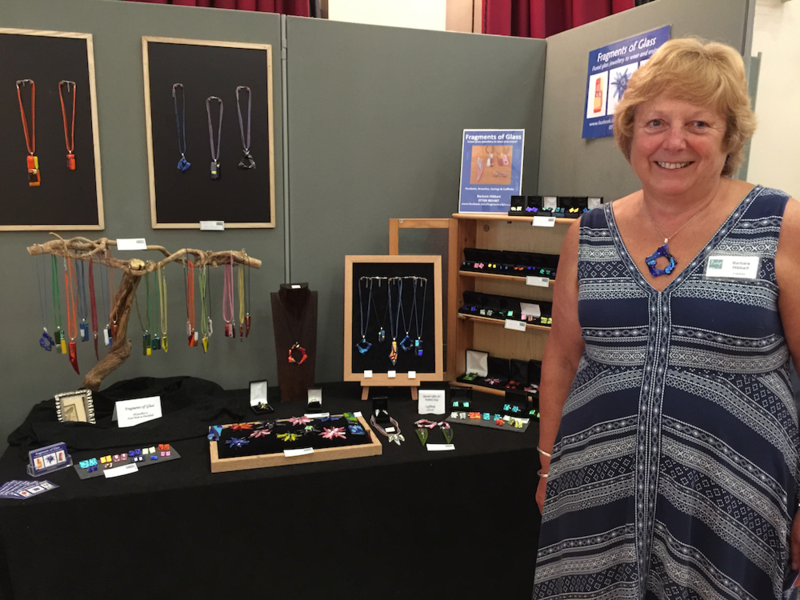 Barbara Hibbart with her fused glass jewellery. 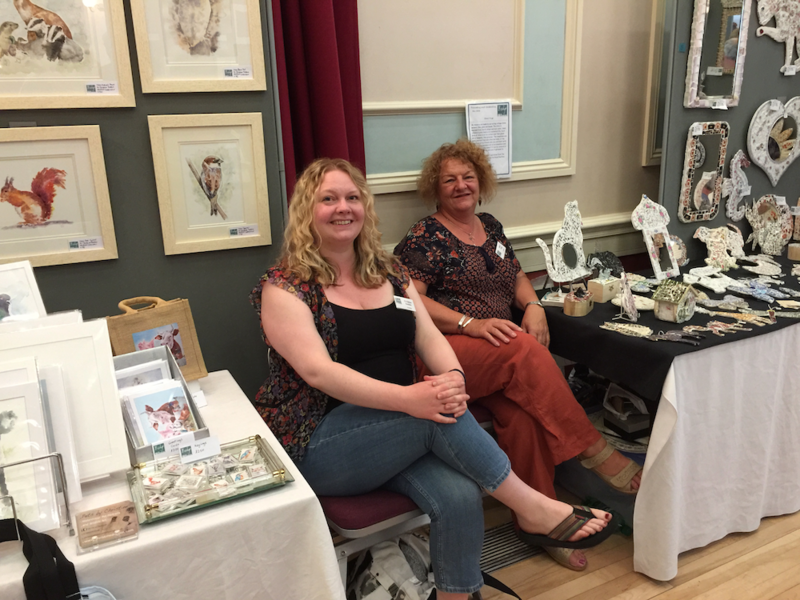 Christine Dobbin with her wildlife paintings, left, and Ethel Trigg with mosaics made from broken china. Claire Sullivan who focuses on local scenes in a variety of media. 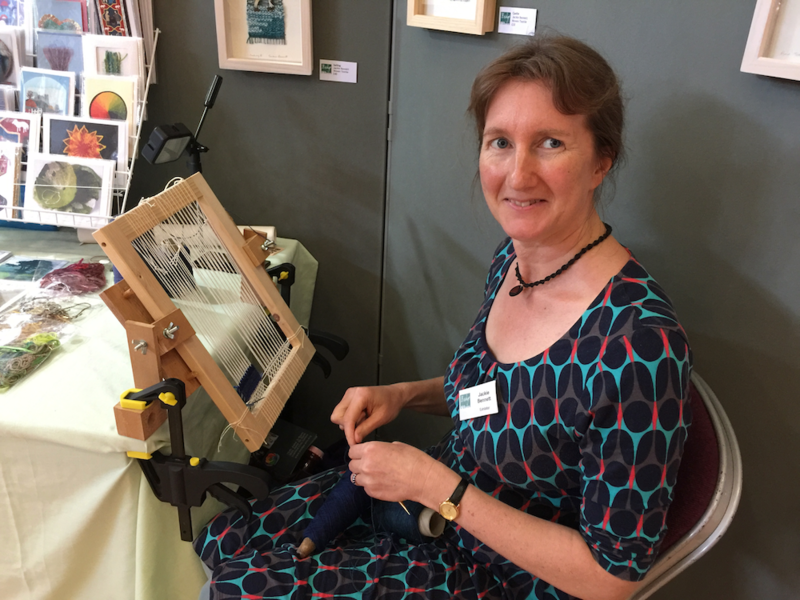 Jackie Bennett a tapestry weaver who weaves her art. Woven owls by Jackie Bennett. 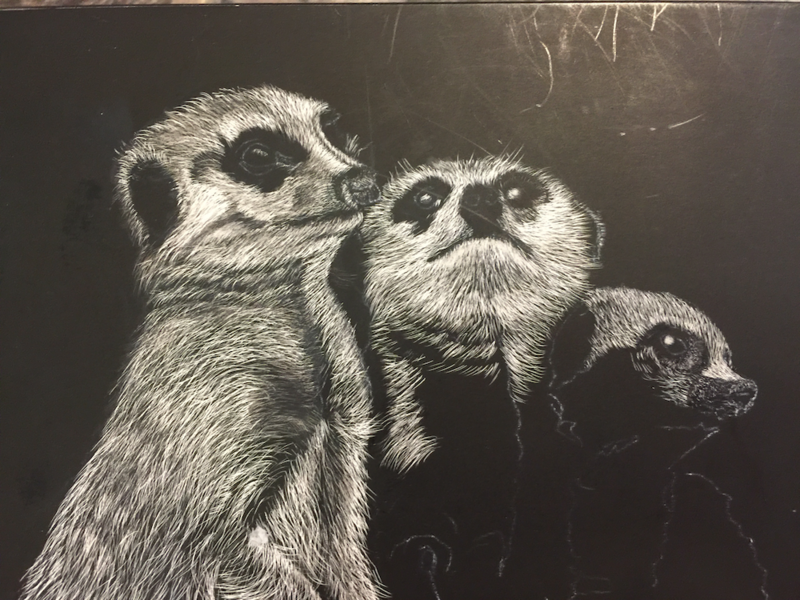 Jenny Dalleywater working on a new scratchboard picture of meerkats. A close-up of Jenny Dalleywater’s meerkats. New layers of ink will be added and scratched to build texture before it is finished. 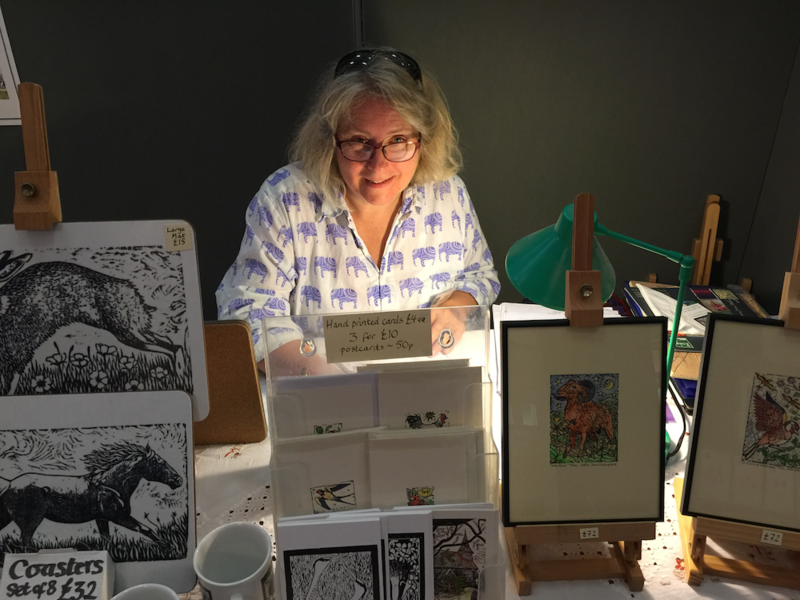 Adele Scantlebury with some of her woodblock prints. Observer: What infrastructure would you like to see built as Uckfield grows?